In the outdoor industry, there is a constant technological push for products to be lighter, faster and stronger. As athletes get stronger and take on bigger goals, their equipment needs to keep up. 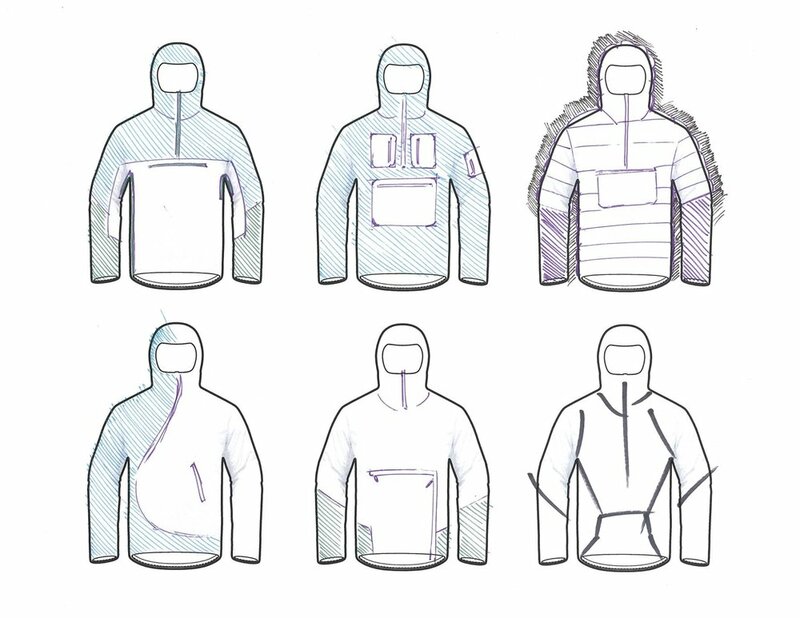 In an effort to discover what it takes to design outdoor equipment for the most abusive athlete I undertook an individual research studio looking into technical fabrics and advanced construction techniques. Part of the research phase took me to Bemis Adhesives to learn about sew free apparel construction techniques. One fabric that was researched extensively was Dyneema, an ultra-high-molecular-weight polyethylene that proved tricky to bond. Working with the designers and engineers at Bemis, we found a formula that worked well with the polyethylene material. Using industrial sewing equipment, heat presses and hand tools, dozens of swatches were made to test construction techniques on a variety of fabrics. 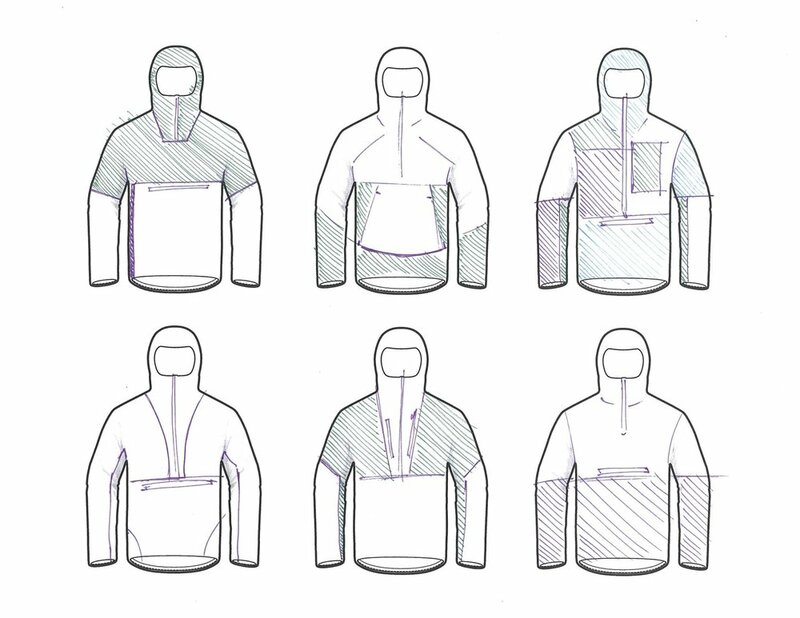 After sufficient knowledge of material and construction techniques were gathered, the design on a garment began. 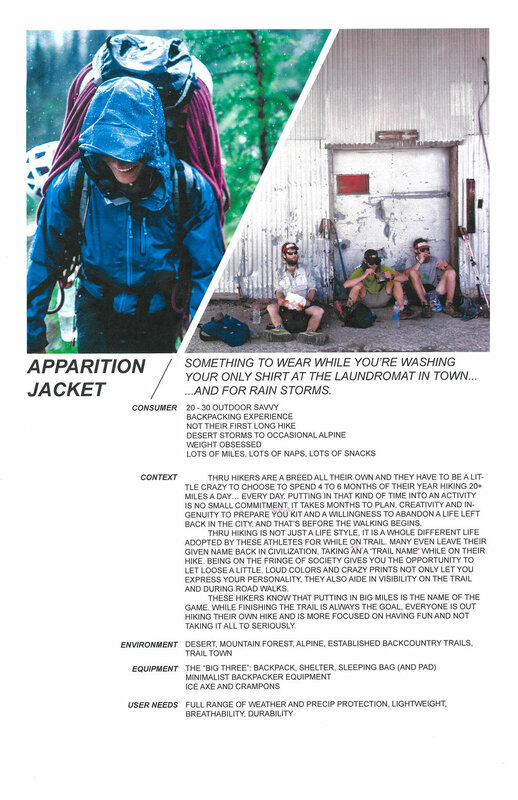 During an internship at Mountain Hardwear, a jacket was developed that would compliment their existing ultralight hiking line. Additional research was done into the user needs and activity specifics. After the design was complete and patterns made, I returned to Bemis to construct the garment using industrial machines common in large scale garment manufacturing. Keeping with the ultralight mentality, the jacket was constructed out fo the lightest weight, strongest waterproof fabric on the market with no sewing used in the construction of the jacket.